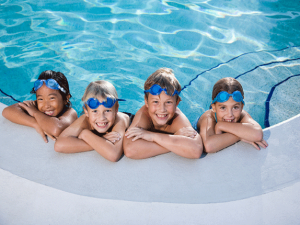 Whether you’re a pool owner or you’re interested in becoming one, you’ll benefit from learning about the most exciting 2015 pool products/news. By helping you to get the inside scoop on the latest products for your pool and surrounding area, while also letting you know what’s up in the world of pool news, we’ll keep you on the cutting edge. Our goal is to offer you facts which make it simpler for you to choose the perfect products and/or pool design for your indoor or outdoor space. At Eagle Eagle Pools Services, we stay educated and informed, so we’re able to offer our valued clientele access to the hottest and most practical pool products. If you need pool services which are truly beyond compare, please connect with us today. We’ll offer you affordable services of the highest caliber, without any downside. If you want to add more style and functionality to your pool, you may want to consider buying a handmade waterfall spout which creates an artistic “water feature” effect. A range of manufacturers offer these stainless steel waterfall spouts. Letting the water run over you as you relax in your pool will feel wonderful and your friends and family will love it, too! In addition, your new waterfall will look gorgeous and it will add so much elegance and refinement to your pool’s appearance! If you want ultra-modern pool accessories which make the task of pool cleaning and maintenance simple and stress-free, you’ll enjoy learning about robotic pool cleaners, which are another hot pool product trend for 2015. AquaVac is a respected manufacturer which offers this accessory to customers – the company’s AquaVac 500 Robotic Pool Cleaner allows for the simplest in-ground pool leaning imaginable! This unit is also incredibly energy-efficient, so it’s planet-friendly and it’s designed to lower your monthly power bill! If you want a truly stunning pool area which is right on-trend, you should give some thought to having artificial rock installed around the perimeter of your in-ground swimming pool. This type of artificial rock isn’t typically that expensive, it’s very durable and it’s easy for pros to install. Once it has been installed, it will give your pool area a distinctive, designer look which turns this part of your home exterior into a soothing To find out more about the most enticing pool products and trends for 2015, please contact us today.